We have a guide to the Oscars to make your party the talk of the town. Roll out the Red Carpet and get ready for the big night with our Party Essentials. Just like the Super Bowl earlier this month, friends and family love to get together and gather around the TV to watch the Oscars. Whether its the Red Carpet and seeing what (and who) the stars are wearing to the big winners of the night, everyone enjoys something else about the biggest awards show of the year. 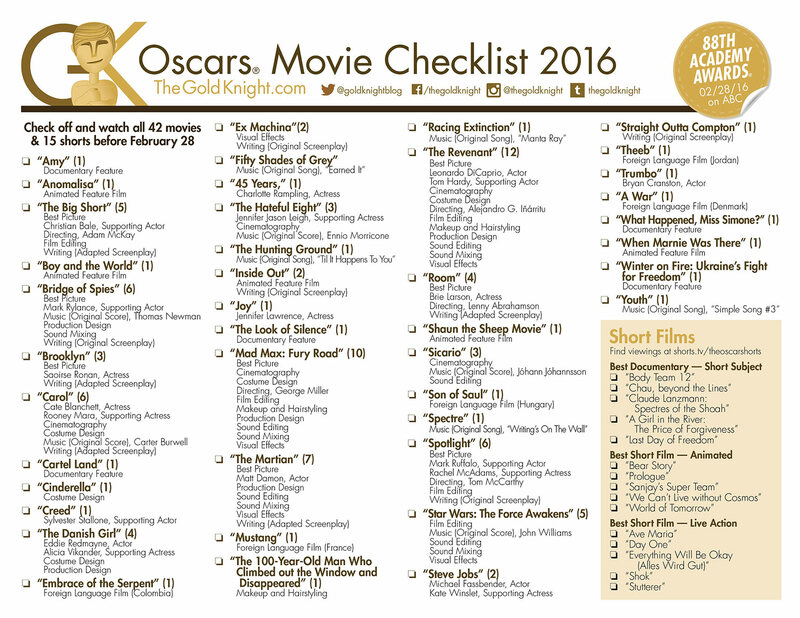 No Oscar party is complete without a printable Oscars 2016 ballot to make predictions and follow along on Oscar Sunday. The coolest party hosts even have prizes for the best predictions of the night. We recommend movie theater gift cards and a small trophy for the perfect pairing. Our one-page printable ballot is the best on the Internet, perfect for your party or office pool. Go here to download the PDF. It's in glorious color. 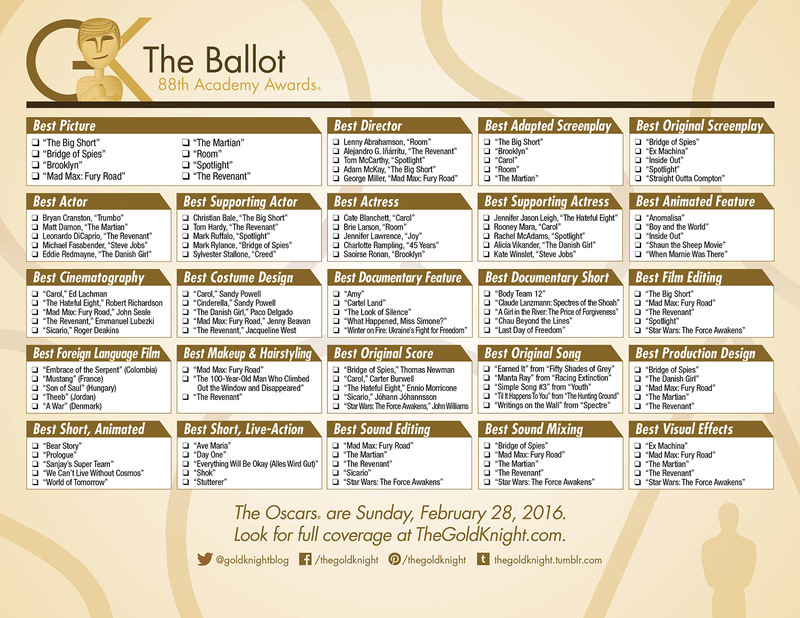 If you'd like a black-and-white version of the ballot, we've also got you covered! 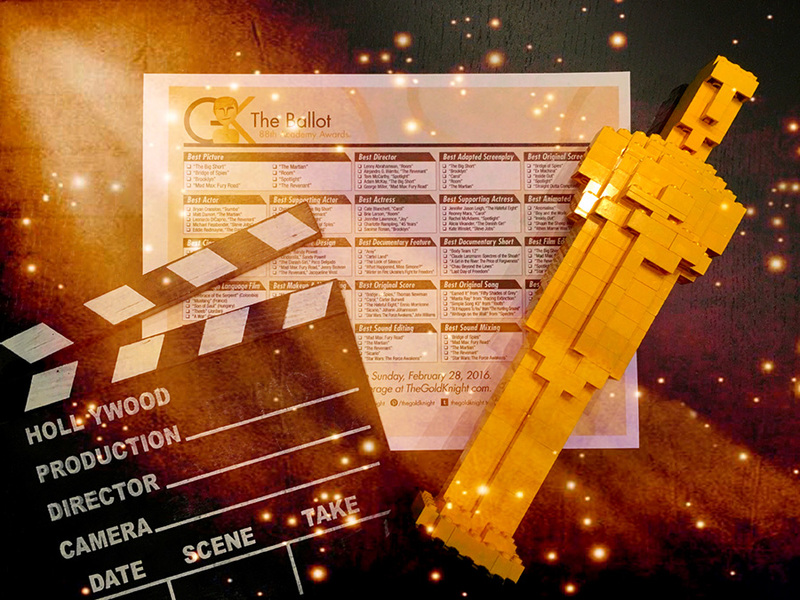 How many of your guests have seen all of the movies nominated for the 88th Academy Awards? 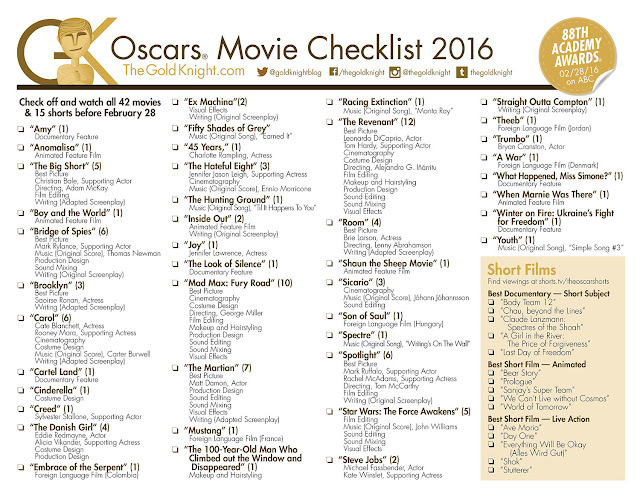 With our 2016 printable movie checklist, guests can find out which one among them is the biggest Oscar watcher. There are 42 feature films nominated and 15 short films. 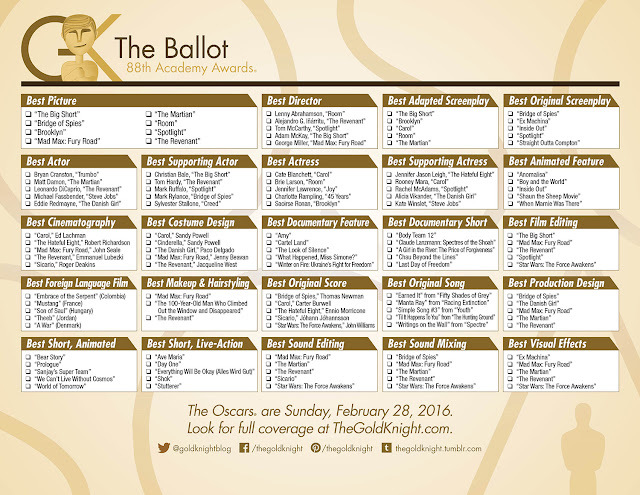 See them all, along with how many nominations each has. Download the PDF here. Be sure to share your results with us on social media!